The cake that wants to be a pie? 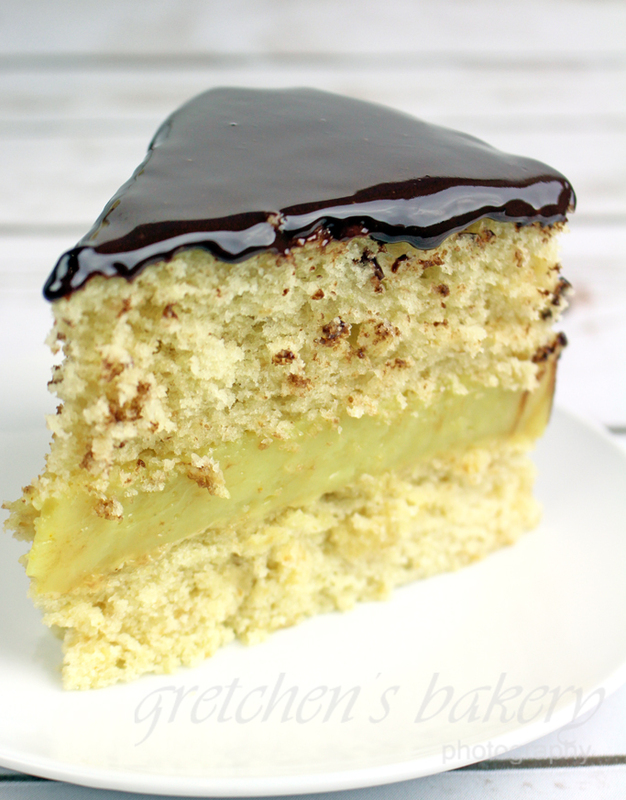 Yes the Boston Creme Pie is actually a cake. Let’s get that out of the way first and foremost. The story I have (and like the best) is that originally this cake was baked in pie tins because that was all they had in the Pennsylvania Dutch country back in the 1800’s. The Parker House Hotel claims it’s fame though as the first restaurant to actually sell this type of cake. And over a hundred years later this cake is still going strong! Now veganized for everyone to enjoy! I often want to make some crazy over the top dessert that no one has ever seen before, but then I gravitate back to the classics. I mean, you can never go wrong with the classics! 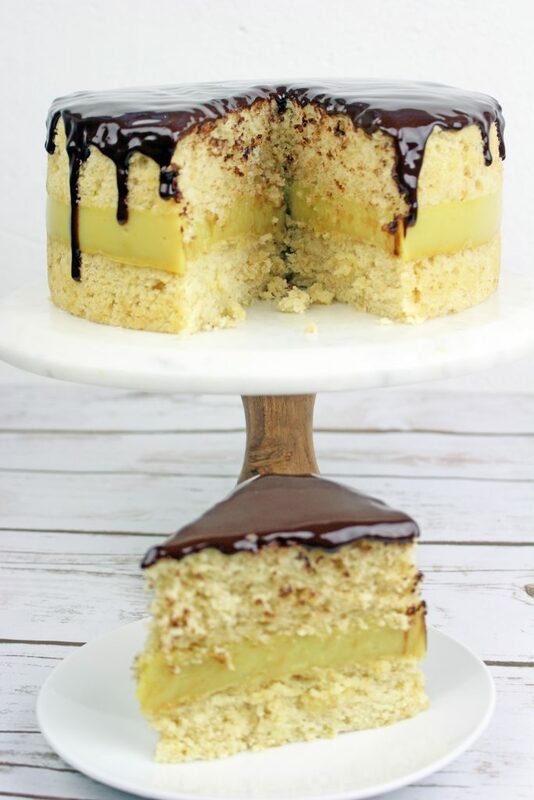 Check out how easy it is to make this rustic, yet stunning and surely delicious cake with my best recipe for vanilla cake as the base and a thick layer of vanilla custard filling. Don’t forget the ganache icing for a perfect marriage of flavors you are going to love! 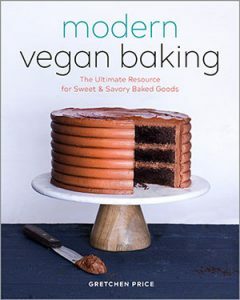 Oh yeah and for those who want to learn more about egg replacers in vegan baking check out my online class here at Vegan Baking Mastery! While cakes cool prepare the custard combine all the ingredients except for the vanilla extract and the vegan butter in a medium sauce pot over medium to high heat and bring to a boil stirring constantly to avoid scorching the bottom . Boston creme pie must be kept refrigerated but can stay out at room temperature for up to 2 hours. Yippee!! 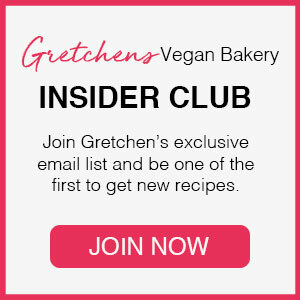 Gretchen I have been waiting for your Vegan Boston Creme pie recipe! I put my diet on hold for a bit so I can enjoy a few delicious vegan recipes.. I gotta spoil myself every now and then 🙂 Thank you for always sharing delicious recipes!! I tried this recipe for my husband’s birthday and it came out great. I used a strip of parchment paper paper clipped together for keeping the custard in place, and it worked fine. I just removed it before serving. Estou aprendendo muito com voce, estou encantada, nao tenho palavras para agradecer. Mas percebi que voce usa muita manteiga em suas receitas, e aqui onde moro nao tem para vender. Posso sustituir por oleo de coco ou creme de coco dependendo da receita. No mousse de chocolate, na cobertura de aquaflax, bolos, exemplo de algumas receitas. Desde ja agradeço.